Are you interested in doing business in Kosovo? Are you interested in taking a trip to Kosovo? Are you of Kosovar heritage and living, working or visiting Cleveland or Northeast Ohio? Submit your Cleveland Kosovar news and events. Submit your Cleveland Kosovar organizations and resources. Submit your Cleveland Kosovar jobs, classes and other opportunities. The central Balkans were part of the Roman and Byzantine Empires before ethnic Serbs migrated to the territories of modern Kosovo in the 7th century. During the medieval period, Kosovo became the center of a Serbian Empire and saw the construction of many important Serb religious sites, including many architecturally significant Serbian Orthodox monasteries. The defeat of Serbian forces at the Battle of Kosovo in 1389 led to five centuries of Ottoman rule during which large numbers of Turks and Albanians moved to Kosovo. By the end of the 19th century, Albanians replaced Serbs as the dominant ethnic group in Kosovo. Serbia reacquired control over the region from the Ottoman Empire during the First Balkan War of 1912. 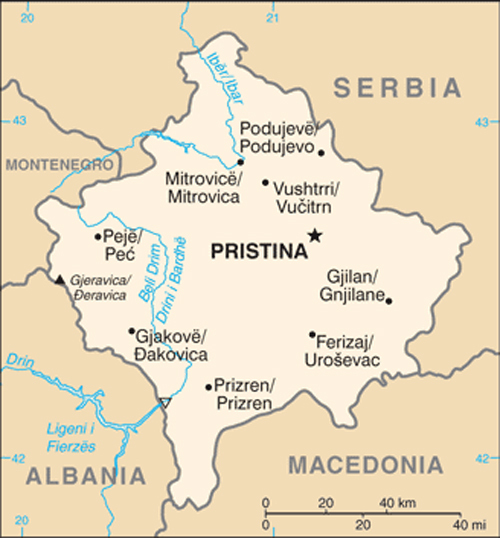 After World War II, Kosovo's present-day boundaries were established when Kosovo became an autonomous province of Serbia in the Socialist Federal Republic of Yugoslavia (S.F.R.Y.). Despite legislative concessions, Albanian nationalism increased in the 1980s, which led to riots and calls for Kosovo's independence. The Serbs - many of whom viewed Kosovo as their cultural heartland - instituted a new constitution in 1989 revoking Kosovo's autonomous status. Kosovo's Albanian leaders responded in 1991 by organizing a referendum declaring Kosovo independent. Serbia undertook repressive measures against the Kosovar Albanians in the 1990s, provoking a Kosovar Albanian insurgency. Beginning in 1998, Serbia conducted a brutal counterinsurgency campaign that resulted in massacres and massive expulsions of ethnic Albanians (some 800,000 ethnic Albanians were forced from their homes in Kosovo). After international attempts to mediate the conflict failed, a three-month NATO military operation against Serbia beginning in March 1999 forced the Serbs to agree to withdraw their military and police forces from Kosovo. UN Security Council Resolution 1244 (1999) placed Kosovo under a transitional administration, the UN Interim Administration Mission in Kosovo (UNMIK), pending a determination of Kosovo's future status. A UN-led process began in late 2005 to determine Kosovo's final status. The 2006-07 negotiations ended without agreement between Belgrade and Pristina, though the UN issued a comprehensive report on Kosovo's final status that endorsed independence. 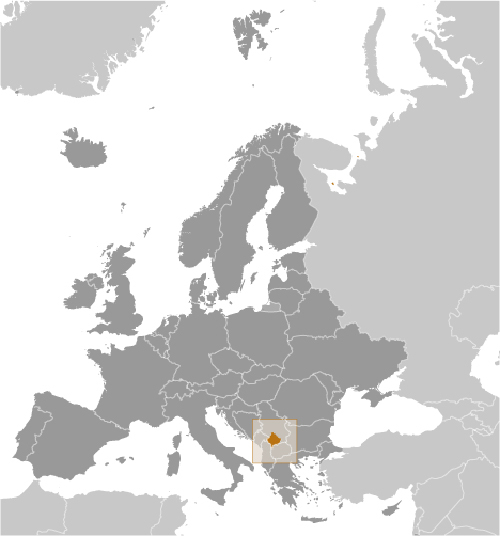 On 17 February 2008, the Kosovo Assembly declared Kosovo independent. Since then, over 100 countries have recognized Kosovo, and it has joined numerous international organizations. In October 2008, Serbia sought an advisory opinion from the International Court of Justice (ICJ) on the legality under international law of Kosovo's declaration of independence. The ICJ released the advisory opinion in July 2010 affirming that Kosovo's declaration of independence did not violate general principles of international law, UN Security Council Resolution 1244, or the Constitutive Framework. The opinion was closely tailored to Kosovo's unique history and circumstances. Serbia continues to reject Kosovo's independence, but the two countries reached an agreement to normalize their relations in April 2013 through EU-facilitated talks and are currently engaged in the implementation process. 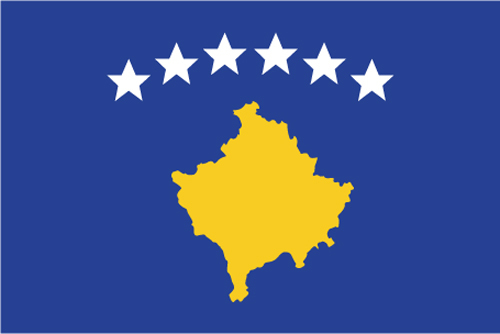 Kosovo seeks full integration into the international community, and has pursued bilateral recognitions and eventual membership in international organizations, such as the UN, EU, and NATO. Tell us about the music, food, holidays, traditions, costumes, language and other qualities that makes people from Kosovo so special. Submit your Cleveland Kosovar cultural items. Read more about the Kosovar and other Ambassadors. If you are interested in being considered to be an official ClevelandPeople.com Ambassador to the Cleveland Kosovar community, please contact us. If you want to reach the Kosovar community in Cleveland and Northeast Ohio, please contact us.